Keep calm and put your thinking cap on: Septic Tank Eve. Let’s be environmentally creative. As you all know we are invited to the chambers of the Martin County Board of County Commissioners on Tuesday Nov 3 to hear about this subject from Dr Brian Lapointe. So a few things before. I did a search of TC and did not come up with one page that had any kind of education. I did the same search with Martin County Commissioners and came up with the same thing. This has been an issue for a long time and we’ve now gone to living life as usual to mandatory sewage. 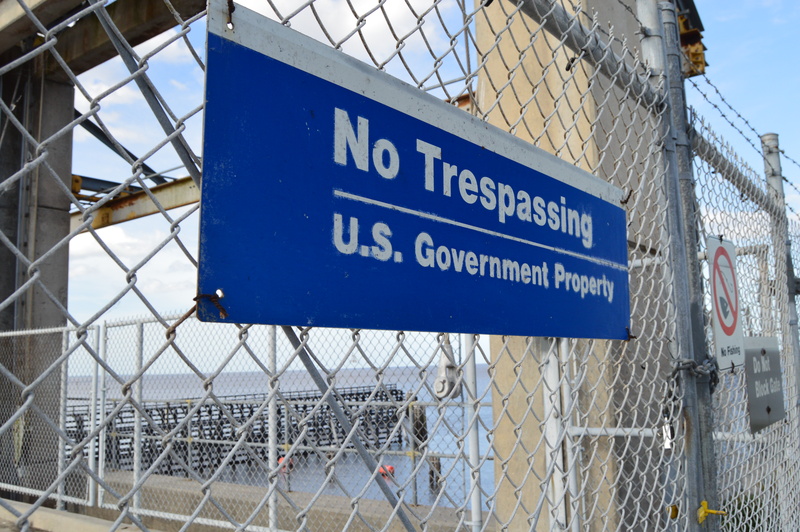 “Despite growing evidence that septic tanks play a role in the lagoon’s degradation, most elected leaders are hesitant to tackle this part of the problem, largely because many property owners oppose increased septic regulations, a Scripps Treasure Coast Newspapers investigation found. Why did Martin County Commission go from white to black (or brown I guess) overnight? What happened? So this is when I say really are you kidding me? 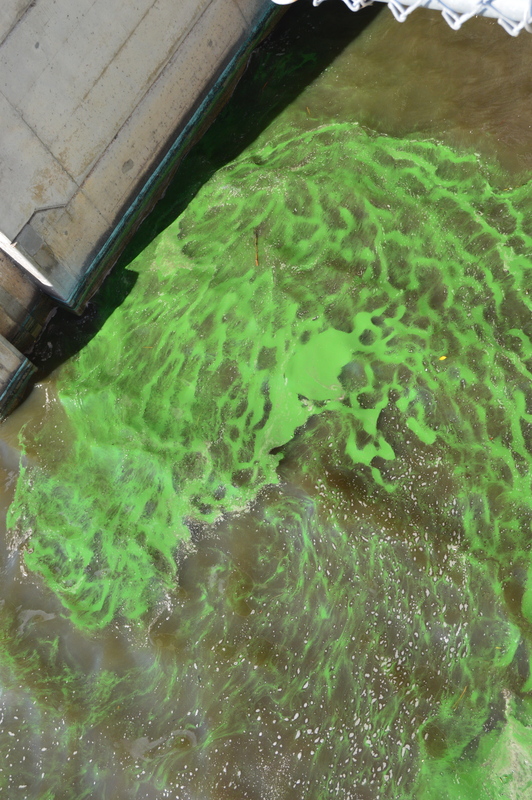 Because we all know we do not get algae blooms unless we are having discharges. And why all of sudden is the newspaper so eager to be the mouth piece of Dr Brian Lapointe? There are a lot of septic tanks. We have the least in Martin County. But there is so more much! 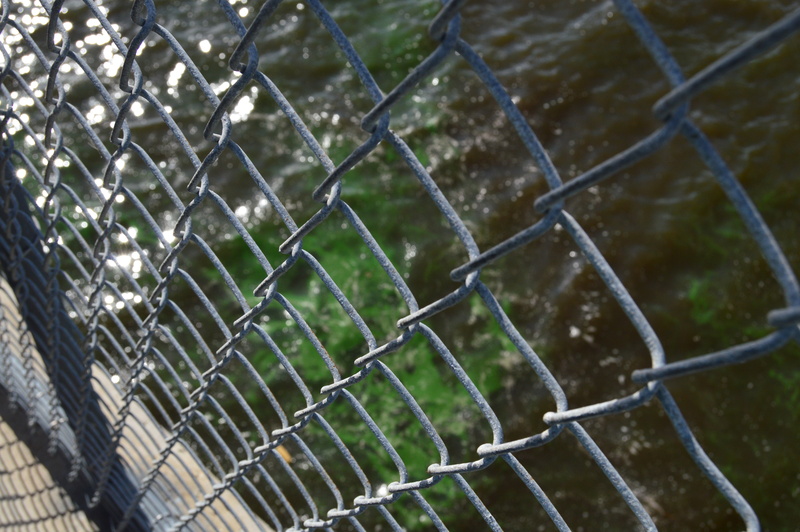 All the stuff that comes from Lake Okeechobee that destroys us with changing the salinity of water. Killing our oysters. Killing the seagrass. I got some great responses from my friends all who have really good points. Actually better points than Dr Lapointe who only answer is costly septic. Dr Lapointe in fact in all this time has never suggested any kind of education and in fact his remark about paying to live in Paradise went to the hearts of many citizens of Martin County. ‪‬” I frequently find myself in complete agreement with you on environmental issues. This is not one. The problem with septic tanks is that they do work when used mindfully by people who have them properly pumped out and regularly inspected. But that’s the ideal, not the typical situation at all. Actually i think we agree. We have different roads to get there. He has point. But the point brings me back to what is the best way to manage these? Pump out is an issue and many people can’t afford it. Many people live on 800-1000 bucks a month and 200 dollars for a pump out means they do not eat. That’s not counting the BS you get when these guys show up trying to get you to spend a fortune. Just pump out my tank please. See the issue is when you slice open a nasty wound pus usually comes out. This is the unwanted pus. Where is the education on how to maintain the septics? Strangely enough there is a Martin County in Minnesota and they did just that. They have a septic system owners guide from the University of Minnesota. and you can own it for 5 bucks. 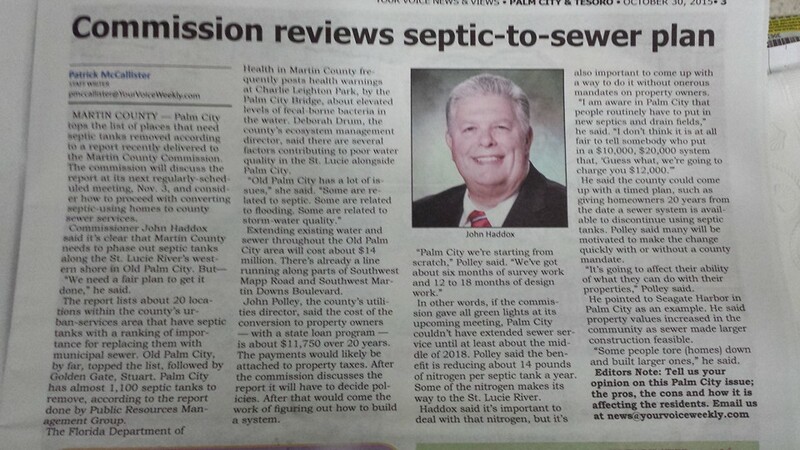 So, maybe while we’re waiting to hash all this out this answer to the question is not lawsuits to inspect but actually voluntarily helping the citizens of Martin County maintain their septics. Why does everything have to end up in court? Why can’t we just ask people to do this right thing? Why is this such a fight? Creating mandatory anything will just create more angst for our citizens who have enough angst already. Do we need anymore angst. I say no. It’s very likely there was a lot of BS which is why Joe Negron did what he did the first place. I did see this from Commissioner Haddix. So this is good. We can start having a conversation. Here are some other remarks that need to be considered. ‪Mark said: I think septic tank inspections and needed repair should be required by law. This would solve part of the problem quickly. Functioning septic systems in proper locations are not a problem, actual groundwater monitoring studies by FIT prove this. I believe Lapointe is looking at nitrogen isotopes. Hooking functioning septic systems to municipal sewage treatment creates other problems such as aquifer injection, a good way to ruin an underground water supply, and many municipal sewage pipes leak into the groundwater. It’s complicated and because it affects a lot of citizens, our lagoon, our St Lucie River it deserves a conversation with more than one expert. I know a lot of researchers from over the years. It all depends on who is supporting your research. In the last week I did hear from people who want to install some kind of cool compostable system like this. I’d have to do some research but I love the idea of getting creative to at least put a dent in the issue voluntarily. Lets do this. Let’s do some research on those cool enzymes and see what we can come up with product wise. Martin Commissioners maybe you can figure out a way we can pump the poop from tanks if people can’t afford this so while we’re talking about this we’re making the world a better place. It doesn’t matter where the blame lies. What matters is we come up with creative solutions as citizens. This has been an issue for a long time. Let’s do something about it. Here is the info for Tuesday again. Hope to see you all there.